This two berth GTS Vogue from Abbey is a great little 'van and features 'L' shaped seating to the front, an 'L' shaped kitchen area and a spacious end washroom. The 217 has a good specification level and includes blown air heating, pleated blinds and flyscreens, full oven with grill and gas hobs, cassette toilet with separate shower and alloy wheels. 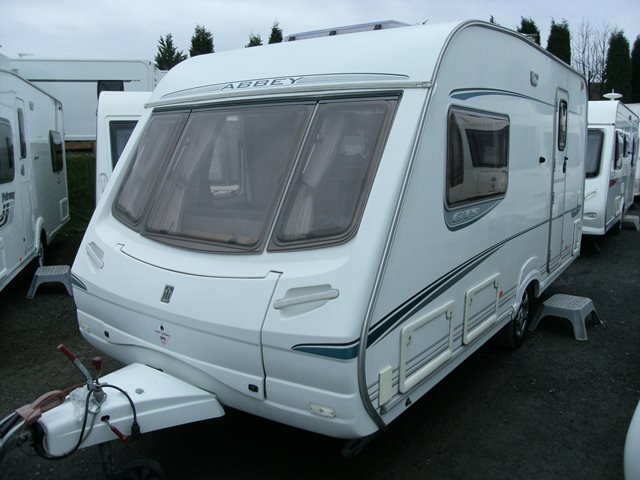 This is an excellent starter caravan which also has the benefit of being lightweight. For further information please contact us on 01384 413336 and ask for a member of the sales team.